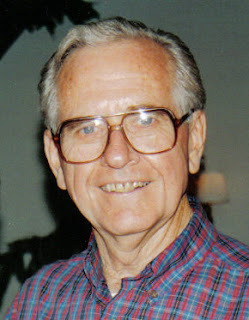 Word has been received of the death yesterday of longtime Grace Brethren missionary Jack Churchill, who had been in ill health for some time. Churchill had been living in San Diego, California. Churchill was a longtime missionary to Argentina and to Mexico. He was honored this past August by the Association of Grace Brethren Ministers with their Lifetime Achievement Award. Churchill and his first wife, Miriam Sickel Churchill, went to Argentina in November of 1949 and served there until 1965. According to the AGBM citation, the Churchills were responsible for establishing a Christian testimony in the Rio Tercero area, and later went on to teach at and direct the Bible Institute. In 1966, Jack and Miriam joined the Brethren missionary team on the Mexican border, where they were involved in leadership training, teaching, and advising pastors. Following Miriam’s death in 1981, Jack continued to minister on the Mexican border. In 1983 he married Rosa, the widow of a Grace Brethren pastor in Mexico. This past August 20, Jack celebrated his 86th birthday, along with 24 years of marriage to Rosa. In a Wednesday night prayer meeting at Winona Lake, Indiana, retired missionary Roy Snyder recalled how he and Churchill had sung and travelled together on a male quartet, along with Charles Ashman and Ken Marken. Dr. Homer Kent, Jr., president emeritus of Grace College & Seminary, recalled that when the collegiate division of the seminary was begun in 1948, Churchill was on the first faculty, teaching English composition. Yet another person present recalled how evangelist Luis Palau, speaking to a Grace Brethren national conference some years ago, paid tribute to Jack Churchill and thanked him in public for his influence on Palau’s own life. Churchill’s memorial service is tentatively set for January 19th in San Diego. Complete details will be released as they become available.